Important Documents for NID counselling process. At least 2 recent photograph. 10+2 or Degree certificates and marks sheet. SC/ ST, OBC caste certificate (If applicable). 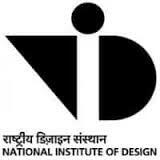 NID 2019 Merit List: Qualified candidates can now begin the NID admission process and will get admission in NID on the basis of category wise, final NID 2019 merit list. Report: The shortlisted candidates who will be informed about the NID Counselling date are required to report to the respective admission process. NID 2019 Documents: Candidates must produce their original documents at the time of NID 2019 admission and NID 2019 counselling. Verification: These documents must include the valid educational certificates and relevant caste or disability certificate, if applicable for document verification process. NID 2019 Counselling fee: The students can pay the required NID college tuition fee at the time of counselling. In case candidates fail to bring the original certificates at the time of NID counselling or is unable to pay the fee, candidate’s NID 2019 admission will be cancelled. The format for B.Des Bonafide Certificate. The format for SC/ ST Certificates. The format for OBC-NCL Certificate. Can you explain the counselling process for NID? The shortlisted candidates will be informed of the counselling date. Candidates will have to submit their original documents at the time of counselling. The documents to be carried include valid educational certificates, relevant caste or disability certificates if applicable. The prescribed fees can be paid at the time of counselling. Incase candidates do not bring their original certificates or are not able to pay the fee their admission will be cancelled.